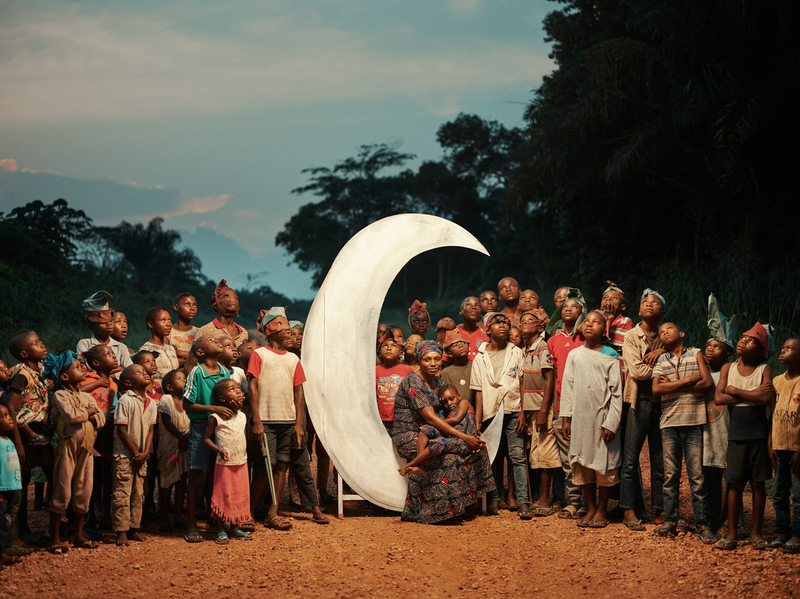 New Book: Magical Photos Depict Traditional Fables From Republic of Congo : Goats and Soda The fables were gathered from people in the Congo Basin and illustrated with a touch of magical realism in the new book Congo Tales: Told By The People Of Mbomo. In the story "The Mole and the Sun," Mole's mother is sick. A medical seer tells him she will recover if his friend Ya Sun can orbit the earth in the opposite direction that it's rotating. The sobering moral is that you can't go against the rules of nature. 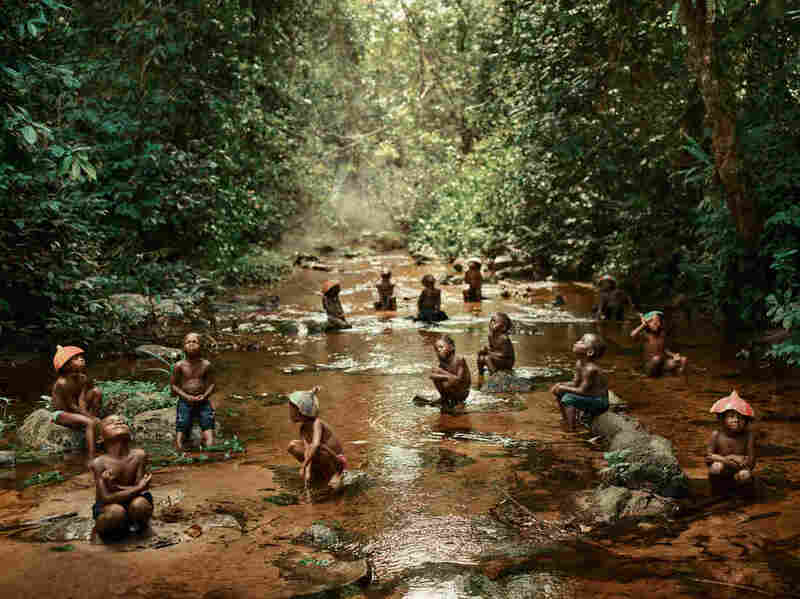 Traditional fables from the Republic of Congo are collected in a new book, Congo Tales: Told By The People Of Mbomo — and illustrated with painterly photos that have a touch of magical realism. Eva Vonk, a Dutch film producer, came up with the concept for Congo Tales. It's the first project from a new multimedia series called "Tales of Us," which aims to communicate the importance of protecting remote ecosystems and the people who live there. In "Two Nkeenge Sisters," two sisters learn the consequences of not listening to a mother's orders. Over the course of three years, Vonk, along with a local radio producer and a community activist, gathered tales told by people all over the Mbomo district in the Congo Basin, the second-largest tropical rainforest in the world. It's home to thousands of plant and animal species and to people as well. The basin is under threat from mining and logging, according to the Yale School of Forestry and Environmental Studies. 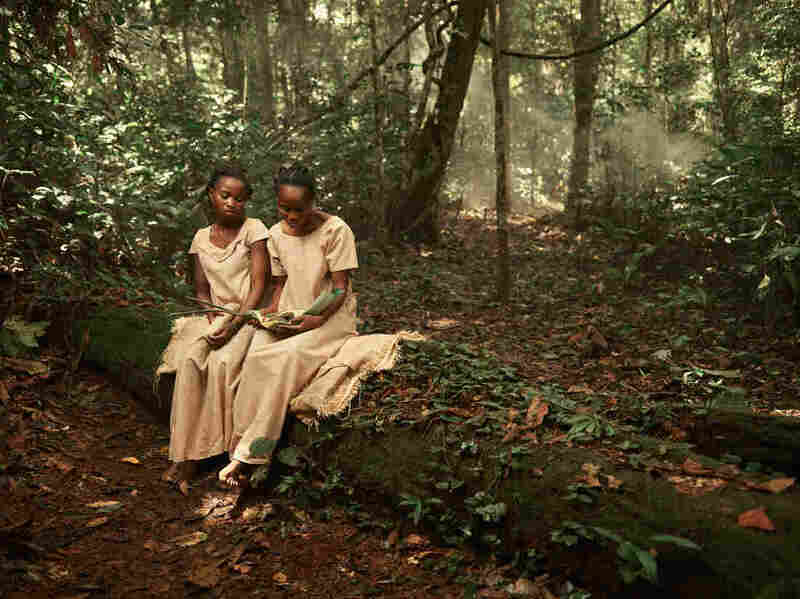 Another image from "Two Nkeenge Sisters." Congo Tales conveys that "a lot of wisdom comes from nature around us," says Vonk. The stories often explore the relationship of people and their environment, with reminders that you can't go against the rules of nature. The stories are mainly from an oral tradition. Each story they collected was translated into English, French and Lingala (a Bantu language) for the book and is depicted in stylized photographs by Dutch photographer Pieter Henket. "The Woman in the Moon" works on the day when it was forbidden in her culture, disappears — and becomes a prisoner of the moon. Villagers surround her in the image above. 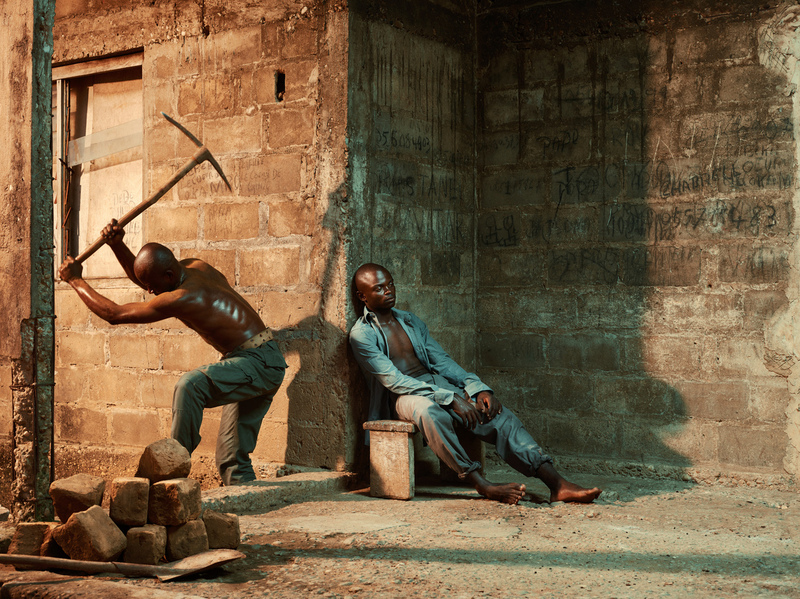 Having shot the likes of Lady Gaga and Mary J. Blige, Henket brought his portraiture techniques to the Congo. Using a battery-powered strobe light to create dramatic lighting in the style of 17th century Dutch Golden Age paintings, he photographed volunteers acting out scenes from the stories. In "The Two Brothers," one mischievous sibling goes on a journey to try and become ruler of the land, only to return home and find that his brother had already been given the position because of his loyalty to the village and its traditions. 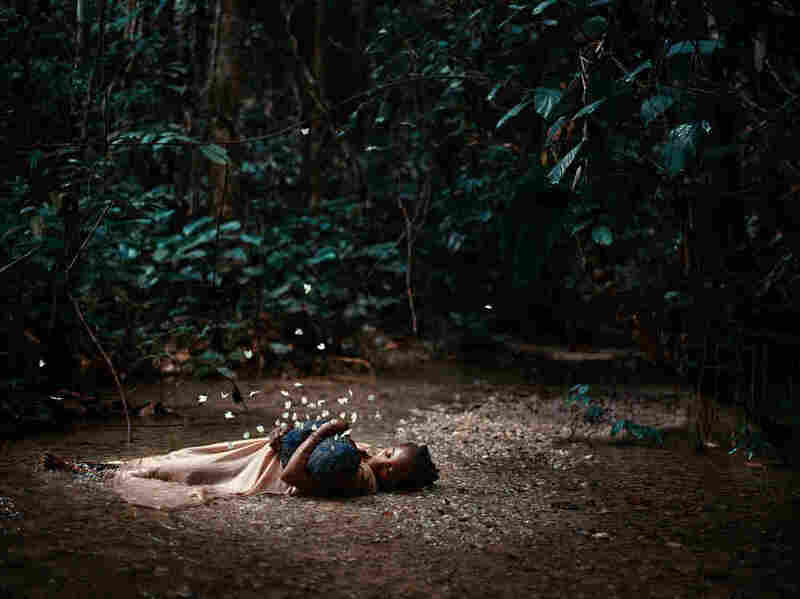 The book, published by Prestel in November, includes 24 myths, exploring life and death, rites of passage into adulthood and the power of nature. Vonk's team, which included interpreters, set out to several villages to record stories. As the storytellers spoke, acted and sang, Vonk and her colleagues wrote the stories down in notebooks. With the help of Congolese brothers Wilfried N'Sondé, an author, and S.R. Kovo N'Sondé, a philosopher, they then translated the stories and adapted them for Congo Tales. After Vonk and her team selected the stories for the book, Henket brought a production team to Mbomo and began shooting scenes to illustrate the tales. This project was especially meaningful for S.R. Kovo N'Sondé, who goes by Kovo. Kovo wrote his Ph.D. on Congo's traditional religions. When he was growing up in Paris, his father told him Congolese myths in French, which helped him connect to his family's history. A few of the stories his father used to tell made it into the book, and Kovo says others are from family legacies as well. It's important to record the stories, Kovo says, because sometimes they are only known by one person, often an elder. "There's so much wisdom in traditional African religions," he says, "and it's dangerous to throw all that away." "The Story of the Little Fish and the Crocodile" tells of two animals who become unlikely friends. But in the end, the laws of nature prevail. The children in the picture are meant to represent the eggs of the fish. Since the project's completion, a local radio station has been broadcasting the stories from Congo Tales. Proceeds from the project will help keep the radio station running. Copies of the book are available in the Mbomo village school and Henket's photographs are on display in Mbomo's cultural center. Additionally, Henket's original photographs will be auctioned at Christie's in January, with proceeds going to similar storytelling projects through "Tales of Us."